I was never happy with canvas, my fourth year of art school I tried masonite and never looked back! 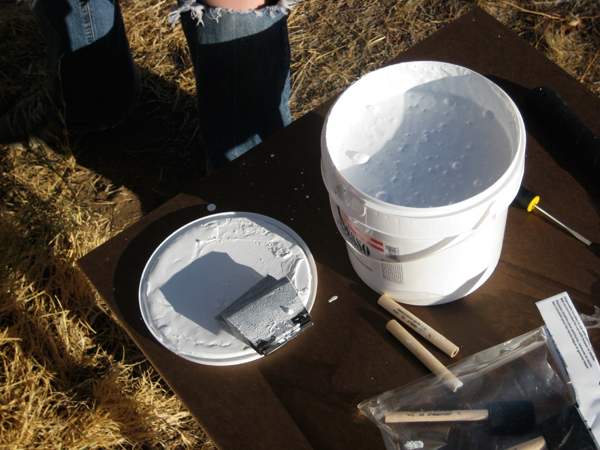 I love digging into the wood through the paint and gesso to pull out wood colors and textures. One of my favorite painting tools is an old nail! 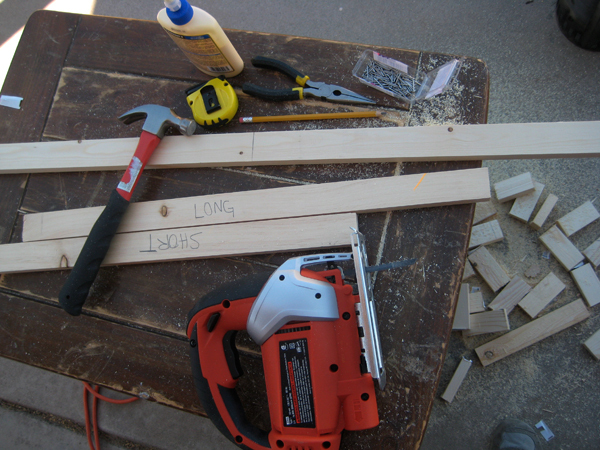 I measured and cut 2 of each sides to make sure everything fit together – then used one of each for a template for cutting the rest of the plywood. Made the process go lots faster! *A NOTE ABOUT SAFETY* Be careful and wear safety goggles while sawing. Your eyes and your little fingers are muy importante, keep them safe! Always be aware of the blade, read the saw’s directions and take your time! 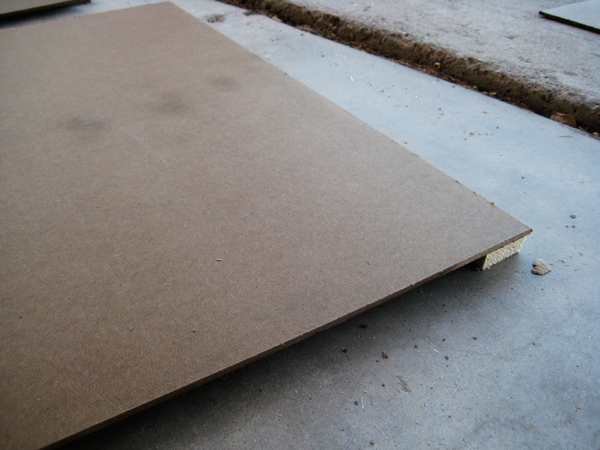 Place the masonite on the ground and the longer plywood piece next to it. 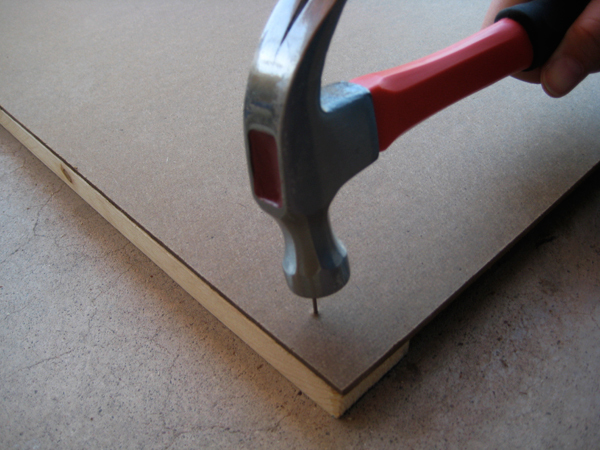 Put a little glue all along it and pull the masonite up on top and line it up flush with the edge. Put a nail in the first corner, make sure it’s still lined up and then do the same on the other corner. Put one or two nails inbetween if you’d like. 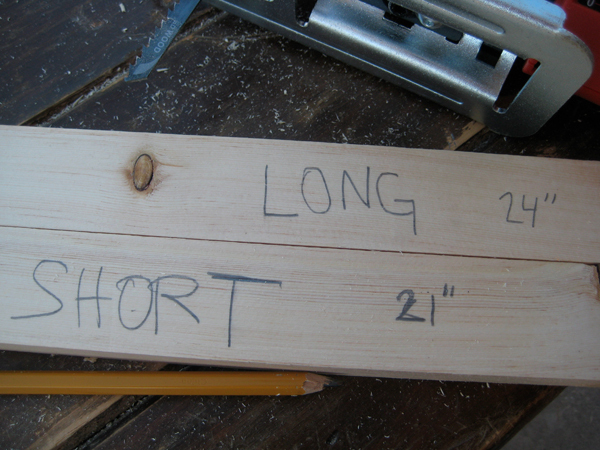 Do the same to the opposite side of the board, with the longer piece. These full sides will be the edges of the artwork because they’ll look a little nicer than the top and bottom edges. 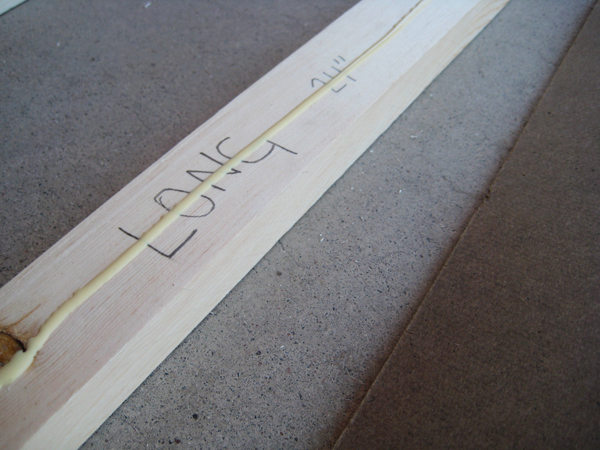 Put a little glue on the shorter boards and squeeze them in between the outer boards and nail them into place. This is the fun part. 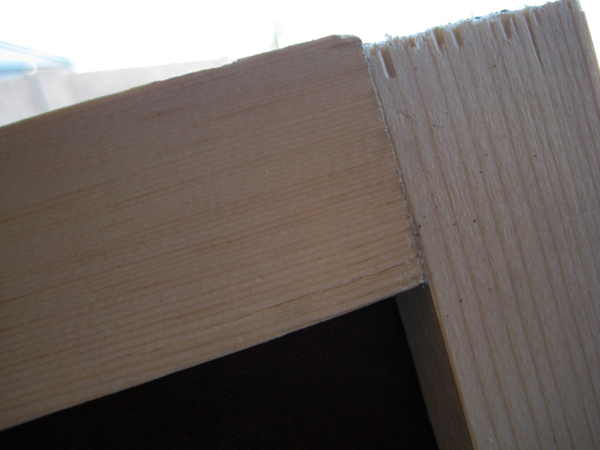 Your panels might not look great – the wood is all different colors, maybe the plywood wasn’t the most perfect length? 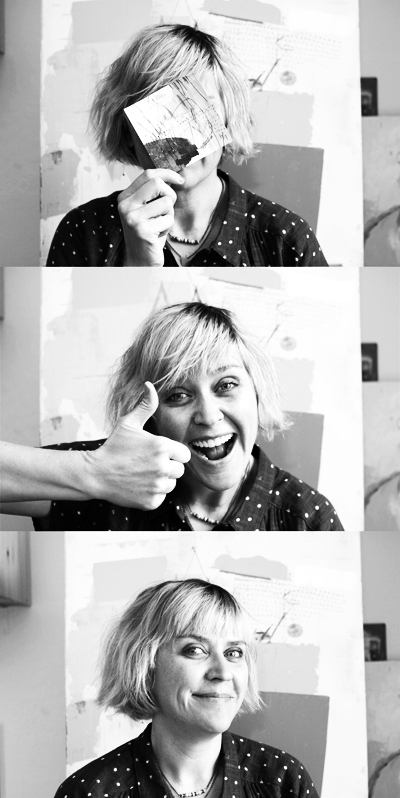 Who cares, ’cause once you put a few layers of gesso on they’re perfect! Make sure and get all of the edges and little nooks and crannies. And that’s it! 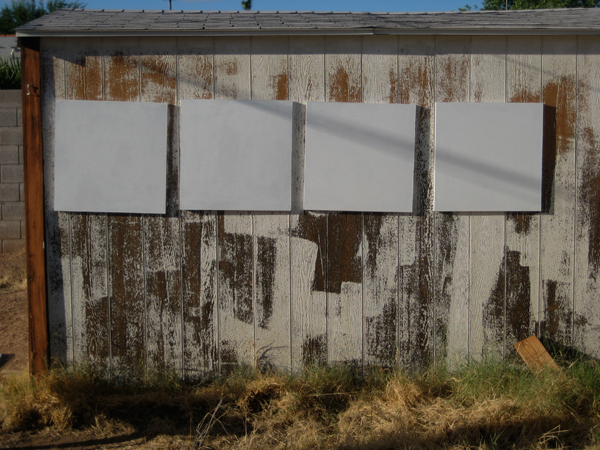 For a little over $100 (including the big tub of gesso and jigsaw) + one afternoon I made 16 panels. The frames makes them look a bit more professional and easier to hang. If you’ve never painted on masonite before and would just like to try it you can always buy a small piece from the hardware store just to test it out first. 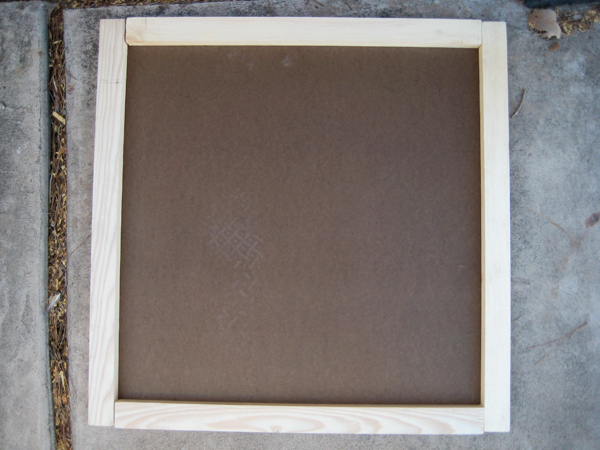 If it’s small enough it won’t need a frame, just some gesso and you’re ready to go. 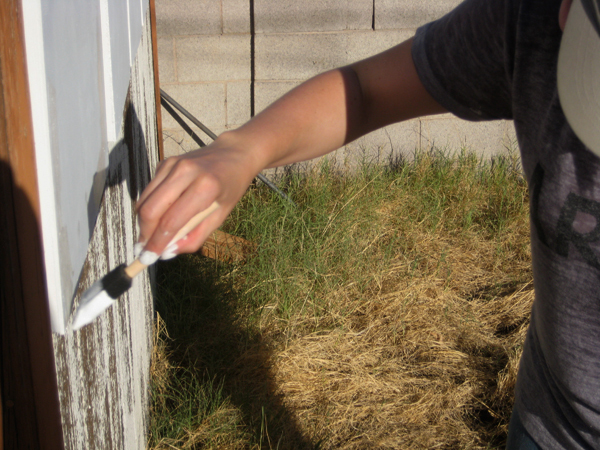 Just did a quick search on painting on masonite and found this: Painting on Hardboard or Wood – lots of good info if you’re looking for more!